A superb quality Full-size die-struck replica. 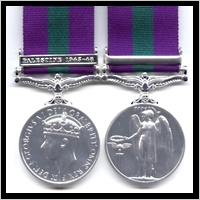 Available with any of the various clasps(bars) that were issued to denote service in various theatres of operations. Additional clasps (riveted): £11.00 each.